Last week’s triple j Unearthed Feature Artist, Bad Juju, are our latest 123 family member! They have just announced their debut EP ‘Hidden Desire’, to be released independently on Friday 13th July, which we couldn’t be more excited for. 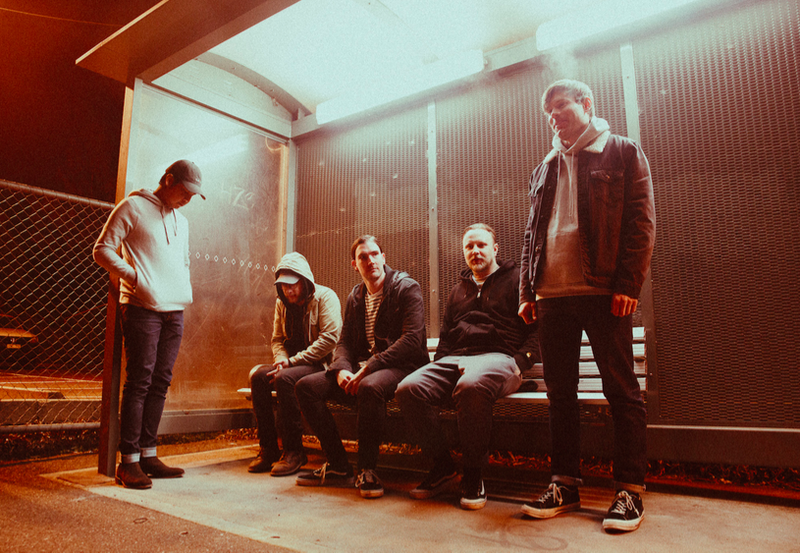 The EP will be launched with the band’s upcoming show supporting Trophy Eyes at Workers Club in Melbourne, followed by a run of headline dates in Sydney, Melbourne, and Adelaide throughout August. The release includes triple j favourite ‘Moving On’, which has recently received full rotation at the station, as well as previous singles ‘Bloom’ and ‘Run Away’. 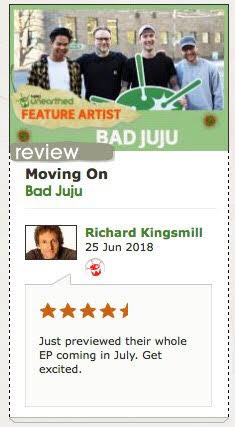 Moving On was also added to Apple Musics ‘The A-List Rock‘, triple j Unearthed ‘Best New Music‘ and Short Fast Loud. Bad Juju have entered into the spotlight with all guns blazing, and with a background playing in established bands such as House vs Hurricane, Confession, Lovers Grave, and Earth Caller, it’s no surprise the Melbourne quartet know how to make an entrance. Drawing inspiration from the likes of Brand New, At The Drive In, and Turnover, Bad Juju have formulated hard-hitting 90s inspired grunge and punk rock without forgetting their original roots in the heavy scene. 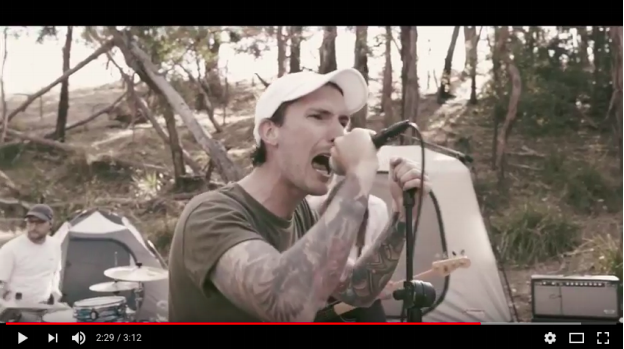 The band’s current single, ‘Moving On’, captured the attention of triple j and triple j Unearthed, securing an add to full rotation on both stations, and scoring the band a slot asUnearthed Featured Artist. Previous singles ‘Bloom’ and ‘Run Away’ have also clocked up airplay on both stations, proving the band are yet to release a lacklustre track. Bad Juju have also been busy honing their live show, sharing stages with the likes of Dream On Dreamer, Trophy Eyes, Columbus, and The Beautiful Monument to name a few. 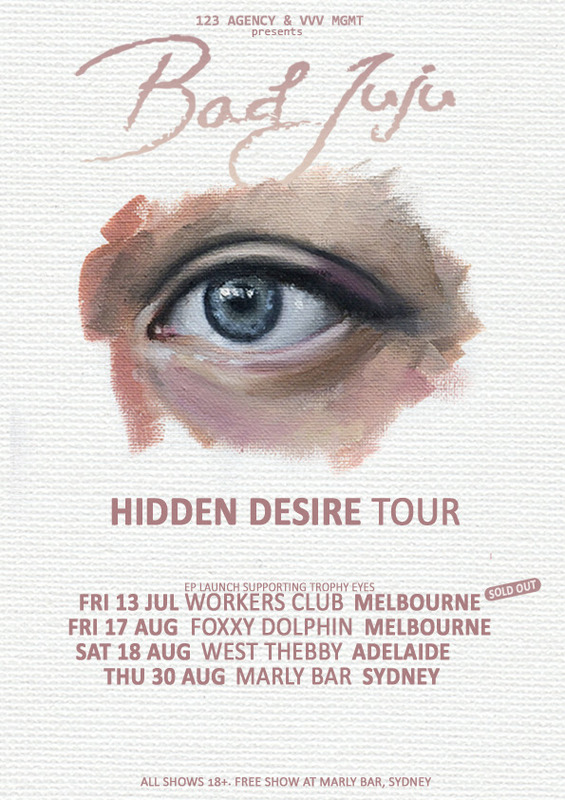 Now, the release of their highly anticipated debut EP ‘Hidden Desire’ serves as another bold step in the right direction for Bad Juju, cementing their place in Australian punk rock music amongst the likes of Dear Seattle, Luca Brasi, Endless Heights and Trophy Eyes. 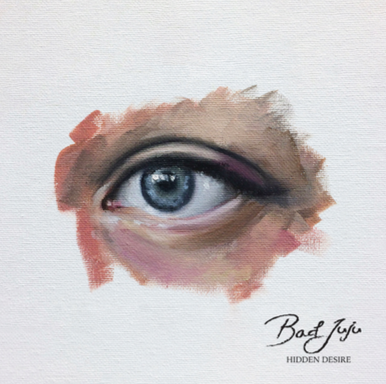 In the spirit of “bad juju”, the band will release their debut EP ‘Hidden Desire’ on Friday 13th July.